"'Twas the night before Christmas, when all through the house not a creature was stirring, not even a……is that a bottle of Lagavulin?" I peered under the Christmas tree tonight and noticed a greenish, 19th century mysterious looking bottle. I walked toward it and on closer inspection I noticed a reindeer was greeting me, with him was a bottle of Lagavulin 16 year old. I tried to pull back but the angelic glow from above told me to open it. So I did, and the reindeer and I enjoyed a drink. I let this smokey-peaty classic gem sit 10 minutes to settle down before nosing it. I must admit though, as I popped the cork off this I took a quick whiff and noticed a very sweet peat note almost lunge at me. But that was the most I did…. I promise. Now that 10 minutes are up, its time to give this a proper nosing! Nose - Big nose. Wet, boggy, fresh, sweetish earthy peat up front, with a fairly young, yet strong iodine tinge to it on the sides. This isn't smokey peat btw, but instead, a vegetal sweet peat with a fresh earthy tone. I'm getting hit with sweet and sour notes throughout the blasts of iodine that are coming at me. Lemon, citrus, light char and …something antiseptic in nature. The longer I let this air out the more of it is showing up. This is one smelly scotch and I approve. Palate: Heavy spice, full bodied, round and big arrival, followed by a peat blast, wrapped in warm gentle sweetness that develops into a smokey finish. Sweet and bitter iodine notes bounce off one another as tar, ash, charcoal, vegetal peat/herbal notes and burnt wood echo in the back. Finish - Dry smoke, bitter acidic ash and the after taste of eating charred nuts. Surprisingly, not too much, and definitely not overwhelming, but a HELL of a lot more then Talisker 10 has (smoke). Nice and lengthy. The finish is where it really makes its presence known. With water the nose gets much more citrusy, sweeter, and peatier. Palate wise, the smoke gets brought out just slightly. Conclusion: This is a heavy, rich, big, and massive scotch. There is a lot hiding in here, and I have yet to break it down fully. The finish is taking some time getting used to, due to the fact I was expecting a completely different type of smoke. I have a feeling that with time, this bottle will get sweeter (which was the case with Tali 10 year old.) Overall the we have a big, bitter/sweet, dry, peaty, smokey scotch. My first "REAL" Islay and I enjoyed it. @cheeserandyburg - Merry Christmas, indeed! I'd be interested to know how you would compare the smoke of this dram with that of Laphroaig 18. 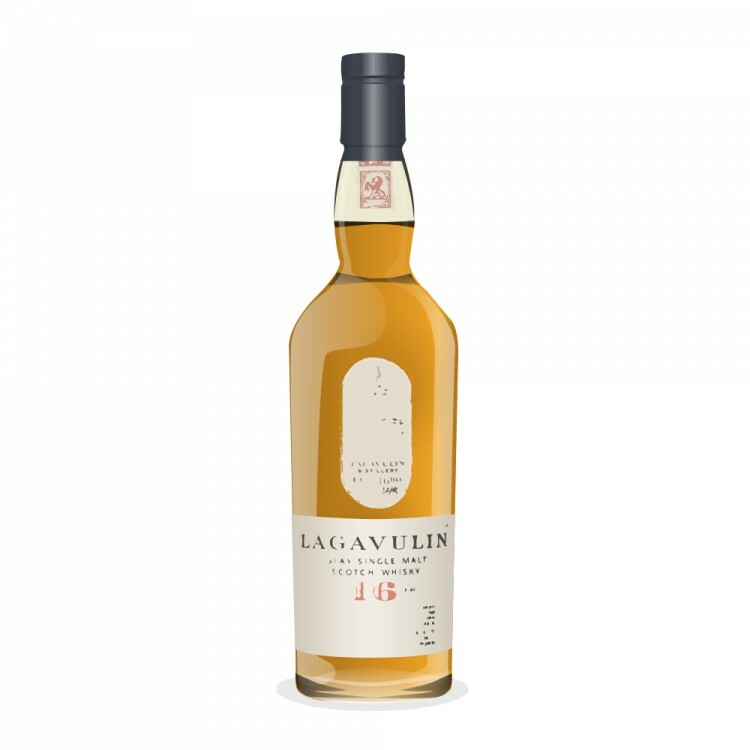 I adore the smokiness of the latter and have been putting off trying Lagavulin because of concern that it might not be smoky enough for my taste. Any thoughts? 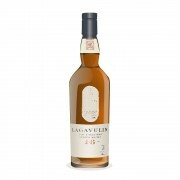 The only thing I have that may "win" over the Laga 16 is the Laphroiag Quarter Cask currently. I haven't had a chance to open it yet, mainly because I don't want to have to many smokey drams opened or laying around. But when I do review the QC I'll definitely be comparing it to the Laga 16. 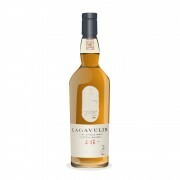 Personally to me Lagavulin is a much sweeter, peaty and sherry'esque malt as opposed to a smokey one. Maybe its just my bottle, but I've read that Laphroiag is apparently even smokier. I was expecting MUCH more smoke in Laga. I surely hope Laphroaig is smokier then the former!